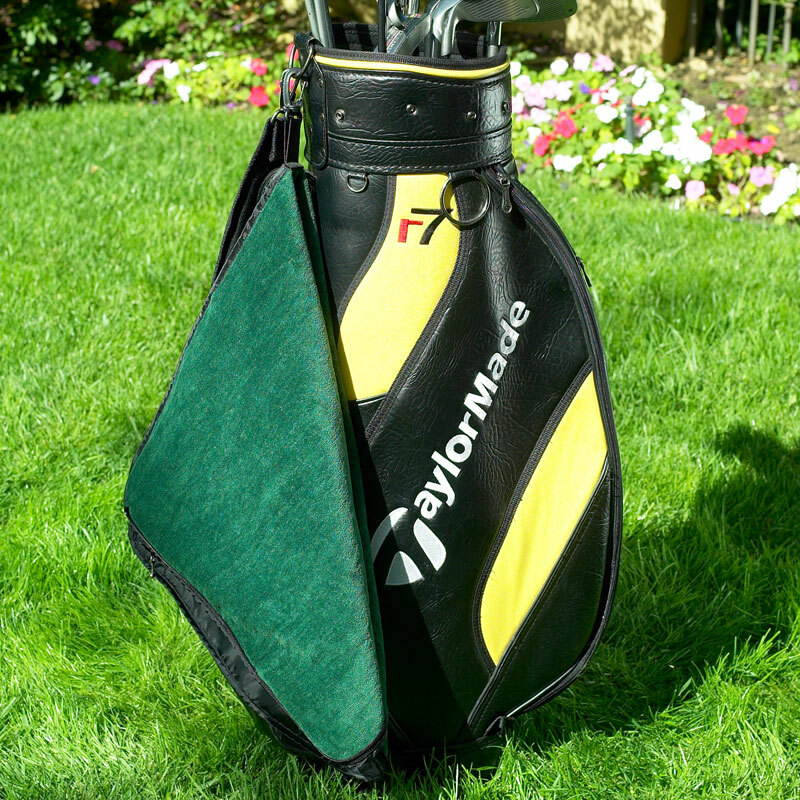 Dual purpose golf bag rain hood and towel. 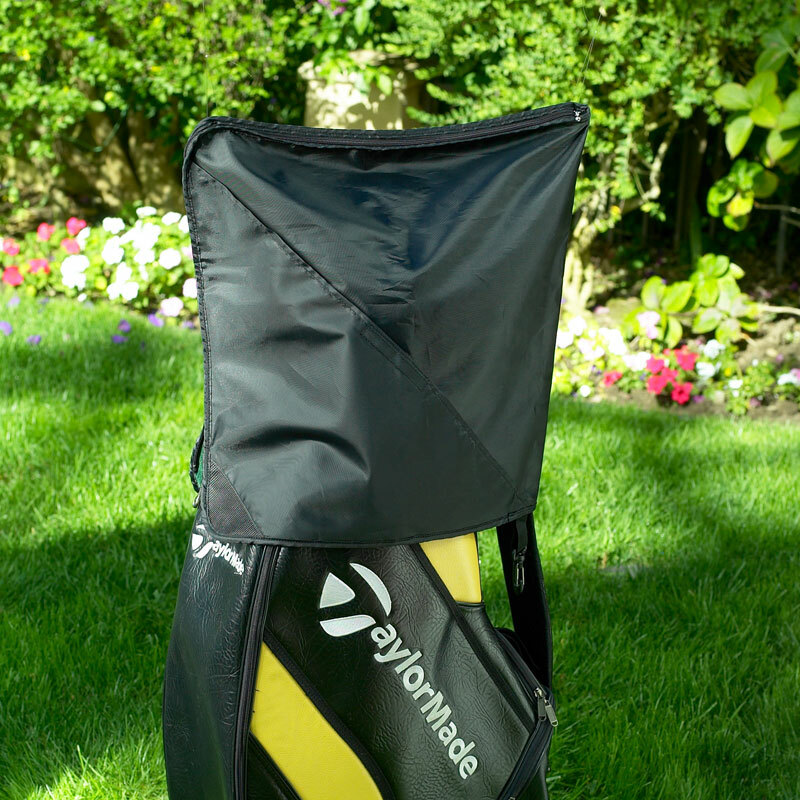 Water resistant nylon keeps clubs dry with double zipper for easy club access. 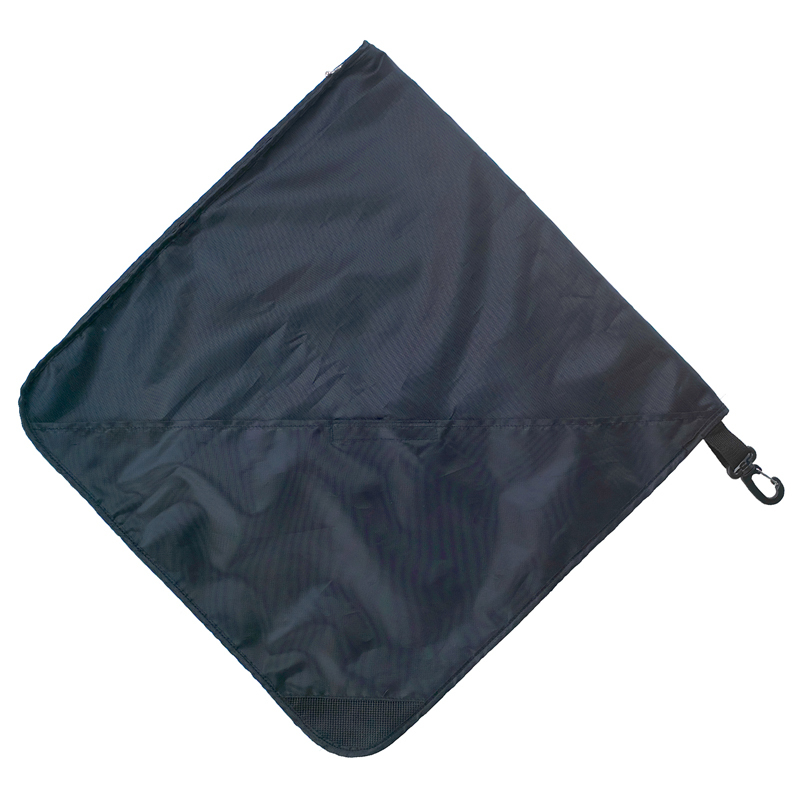 Terry cloth side cleans balls and clubs. 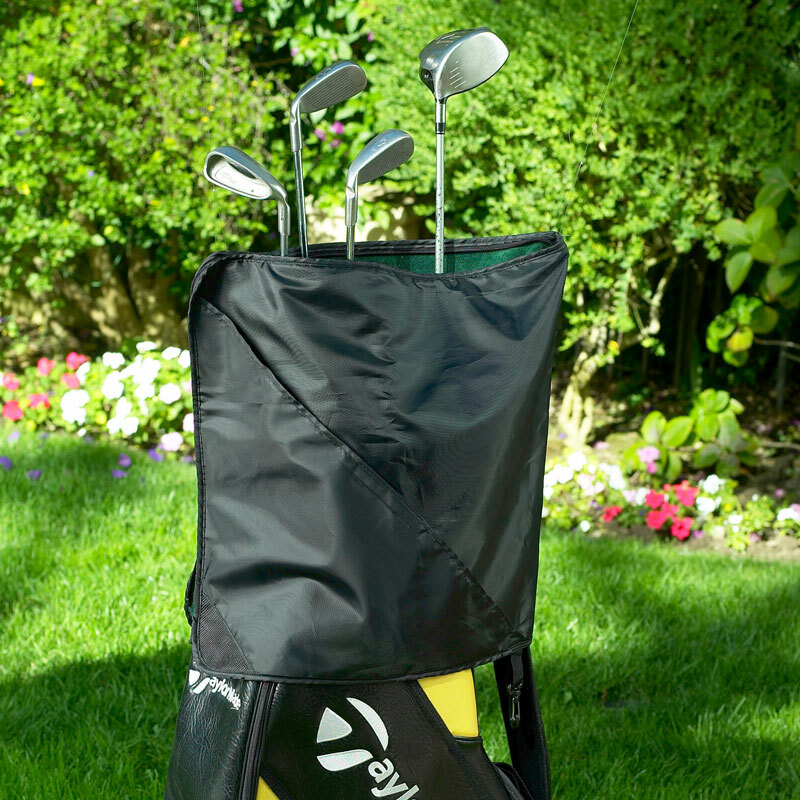 Hanging hook attaches to golf bag. Machine washable. A great gift at tournaments.